Let me save you the trouble of scouring the internet in search of a tablet. If you're like me and do not want to have to buy a carrier subsidized tablet with yet another data plan (I'm talking about you, Samsung), then your three top options are the Archos 101, the Advent Vega, and the Viewsonic G Tablet. The decision for impatient people such as myself is simple – with the Archos 101 on back order until further notice from Amazon, and the Advent Vega on back order as well, Viewsonic's G Tablet begins to look quite attractive, especially because it is available at your local Sears whose return policy happens to be 30 days, just in case you change your mind. Instant gratification is a beautiful thing. 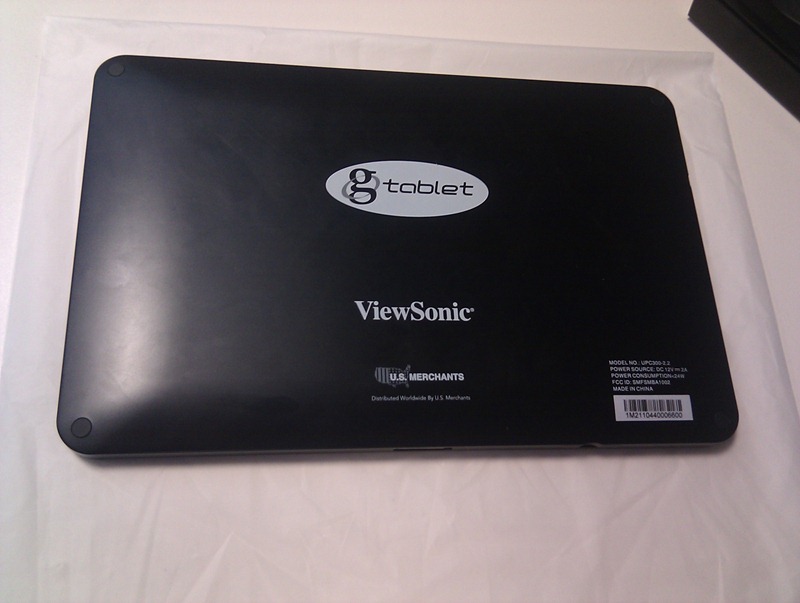 Now I will warn you beforehand that you will absolutely hate the Viewsonic G tablet out of the box. My initial thought was something along the lines of, “worst Android device I have ever handled.” Seriously, it was that frustrating. Let me explain. The box is reminiscent of a cheap one hundred dollar knockoff from China, the device comes with no charge, forcing you to plug it into the wall for first use, the boot animation is forgettable, Tap 'n Tap is not only an ugly overlay but is so lagged up even after rebooting that it is almost unusable, and the accelerometer will flip orientations on you for no reason, even while flat on a table. Now with all of the ugly initial impressions of the Viewsonic G Tablet out of the way, we can focus on the good that comes with the device, and how you can harness it to become a powerful Android tablet with speeds rivaling those of the iPad. Though the out-of-the-box experience is dreadful, the technical specifications of the G tablet put it at the top of tablet hardware this year. Not many tablets this year can boast such powerful specs, and yet Viewsonic has completely failed to highlight the raw power of their device with their painfully slow and ugly interface: Tap 'n Tap. Seriously, it's an awful overlay, but don't let that dishearten you. True Android supporters pride themselves on not being typical end users, and so part of the fun that comes with the G Tablet is the ability to hack it up into the tablet we see fit. Our friends over at XDA, who always do brilliant work, have truly astonished me with how they have turned this tablet 180 degrees to become a fierce competitor in the Android tablet game this year. 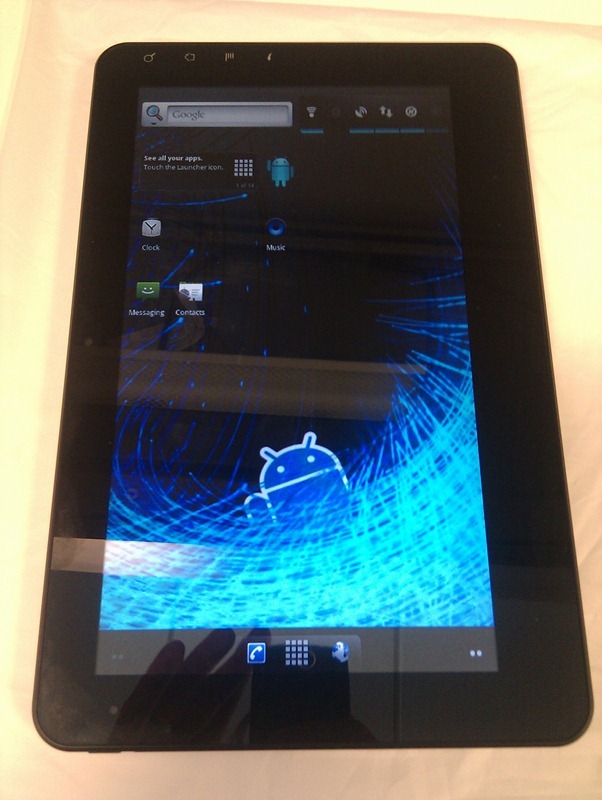 They bring the appeal of stock Froyo to the tablet that purists will thoroughly enjoy and speed up the device greatly. All three have their respective followings, but no matter which you choose, it will improve the tablet tenfold. Angry Birds looks native to the device, a fact that will appeal to many Angry Birds lovers out there. Swiping between home screens and running apps becomes so smooth in contrast to the sluggish Tap 'n Tap interface that you get the feeling your tablet may have been secretly switched out for something completely different. After installing a custom ROM on my G Tablet, I got a score of 2419 in Quadrant, which is kind of a de facto standard of Android benchmarks nowadays! For comparison, the stock Galaxy Tab only scores about 1060. The G Tablet doesn't seem so horrible now does it? Let's get started. Now that we got that out of the way, we need to gain root access. You need to sideload Z4 Root to your G Tablet. This allows us to modify all of the necessary files and use apps which require super user access. After it installs, click open, run the app, sit back for a minute, and enjoy root access! For the time being, since the G Tablet does not support the Android Market, any apps that you will want for it must be side loaded similarly to how we side loaded the Z4 Root. If that is not appealing to you, check out this XDA thread on how to load standard Google apps and a rough Android market. Press and HOLD and volume up button and then the power button together until you see the screen go black and “android” printed on the screen in gold letters, then release. After you release you should see update package installing itself, just be patient until the tablet reboots itself, and you are greeted by a new boot animation to show you that the ROM was flashed successfully! If you opt to test out several different ROMs, side load ROM Manager by ClockworkMod - it will allow you to easily boot into recovery and flash different ROMs. Also be sure to keep checking those XDA threads for new updates and fixes! 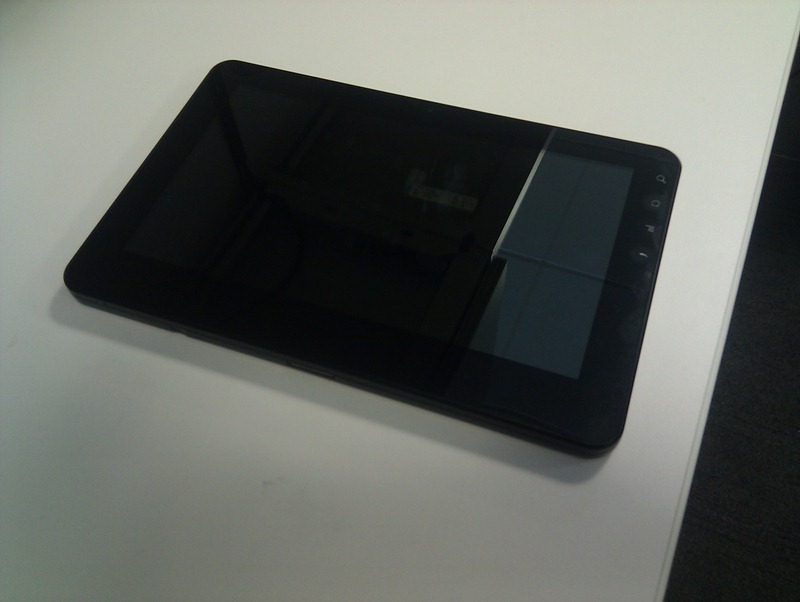 And now enjoy your completely reborn Viewsonic G Tablet.